The desire to look pretty is inherent in the female DNA. Is there an Indian woman who doesn't yearn to look like Bollywood stars Aishwarya Rai or Deepika Padukone. 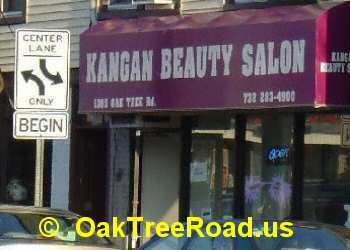 No surprise then that New Jersey is home to plenty of Indian beauty salons. Whether you're looking to get a simple eyebrow threading, skin care, manicure, pedicure, Mehndi, or herbal facial, there are beauty salons on Oak Tree Road in Iselin and Edison that can help you. The good thing is some of the beauty parlors are located in Oak Tree Road shopping plazas like Nazranaa and Parkway Plaza, which means you can combine your visit to the parlor with grocery purchases, a visit to an Indian restaurant etc. 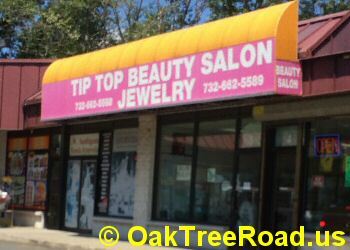 Besides threading, Oak Tree Road beauty parlors also provide waxing, hair removal, wedding henna tattoos, bridal makeup and skin care services. Besides English, the young women working at the beauty parlors also speak Hindi and Gujarati.